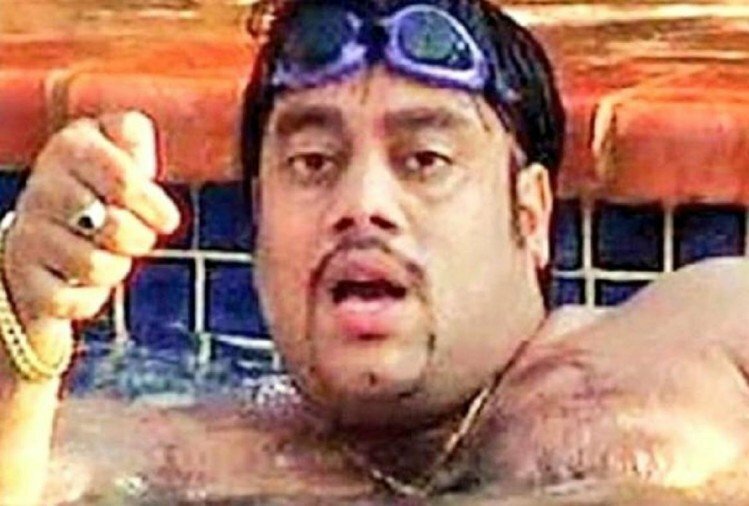 An Indian gangster named Ravi Pujari has been arrested in West Africa’s Senegal. The Indian Intelligence agencies tipped off the local authorities and it led to the arrest. The notorious gangster Chhota Rajan, who is serving time in a Navi Mumbai(India) jail, is said to be the mentor of Pujari. Bengaluru City Police had earlier issued a red corner notice against the Pujari, after which action was taken. Pujari made threat calls to public figures demanded money from Bollywood (Indian movie industry) celebrities. Two persons who are believed to be the members of the Ravi Pujari gang were arrested in January. They are named William Rodricks and Akash Shetty. The arrests were made by the Anti-Extortion Cell (AEC) for the offence of threatening a builder. Rodricks was arrested from Goregaon (a suburb near Mumbai, India) on January 15 after he allegedly demanded Rs 2 crore (around 280 thousand US Dollars) from the builder and threatened his relatives. During the interrogation, Rodricks allegedly revealed that he had provided contact details of a developer to Pujari. Consequently, Pujari began demanding ‘protection money’ from the developer. The interrogation of Rodricks led the police to Akash Shetty, another alleged member of the Pujari gang, who was arrested from Mangalore in Karnataka, India by an AEC team in the third week of January. Indian gangsters like Dawood Ibrahim, Chhota Rajan, Ravi Pujari, etc are notorious for multiple reasons. They have organized crimes not only in India but also overseas. The crimes range from match-fixing in the game of cricket, threatening movie and tv stars, kidnappings, drug trafficking, weapon trafficking, robbery, contract killing, fraud, money laundering, chop shop, counterfeiting, extortion, illegal gambling, and murder. The arrest of Ravi Pujari happened because of the information uncovered from the interrogation of Rodricks and Shetty. What is often overlooked is that the investigating agencies spent weeks and months to gather intelligence for this investigation. There are other cases which they must also investigate. The nature of cases which land on their table is sporadic. The arrested suspects suffer in penitentiaries while the investigation is ongoing. Fundamentally, they deserve to be screened as soon as possible and either freed or tried. Current investigative techniques are time-consuming, costly and labour-intensive. Law enforcement agencies have been searching for a way to reliably determine if the suspect in front of them possesses any knowledge of the crime which is being investigated. A Massachusetts based company called Brainwave Science has come up with a way to interrogate suspects and witnesses in a non-invasive fashion. iCognative helps the law enforcers in their fight against crime by equipping them to quickly screen the suspects so that the outlaws receive their punishment and to help the blameless get absolved. iCognative relies on the simple fact that the brain never forgets any information. Crime-related details, if present in the mind of a test subject, can be uncovered by a simple iCognative test. This test lasts for around 45 minutes. In this test, the subject is not subjected to any form of torture. He or she is made to wear a specialized headset, which records the responses of his or her brain when the iCognative software displays crime-related information (called stimuli) on a screen. These responses to such crime-related images, words or phrases are transmitted to the computer where they are analysed immediately. As soon as the test is concluded, the iCognative system tells the test administrator whether crime-related information is present or absent in the brain of the test subject. This can go a long way to help the investigators quickly screen the suspects. The test is extremely reliable and has an accuracy of 99.9%. Once an investigation is carried out, the gathered details can be used for conducting a iCognative test on the men who have been detained. The test is conducted individually on each test subject, and it usually takes 45 minutes. iCognative measures brain responses and accurately identifies if certain crime-related information is present in the brain of the test subject or not. For this, a computer and a specialized headset is used. The headset records brain responses and transmits them to the computer. The results of a iCognative test are highly accurate. On the other hand, a DNA or a fingerprinting test has limited applicability because related samples are only uncovered in only 1-2% of the cases. iCognative is an extremely useful technology because it is applicable in more than 85%-90% of all criminal and civil cases. iCognative is not just limited to trafficking cases, but equally applicable to human trafficking, drug trafficking, immigration, national security, border security, counter-terrorism and law enforcement. The details gathered from the investigation are used as stimuli to conduct iCognative of the witnesses and the arrested suspects. The stimuli can be in the form of pictures, words or phrases. The test subject looks at these stimuli on a computer screen while wearing a specialized headset. The brain of the subject responds differently depending on whether or not his or her brain possesses that crime-related information or not. The iCognative system identifies the presence or absence of this information and reports the result as soon as the usually 45-minute long test ends. The stimuli, in this case, can comprise phone records of the interactions between Ravi Pujari, his aides and the celebrities which the trio tormented, CCTV footage of the victims of the trio’s exploitation, crime-related details uncovered from other arrested suspects and convicted criminals, etc. The Investigative agencies in India and West Africa can benefit hugely and uncover information about other Mafia Dons if they take the help of iCognative. They will be able to reverse-engineer the structure and discover the place of suspects in the hierarchy of such Mafia organisations by conducting iCognative tests on the suspects. iCognative not only helps save time and taxpayer’s money, but it is also extremely accurate, reliable and easy to deploy. Brainwave Science’s iCognative is an arrow which ought to be in every investigative agency’s quiver.